This cupcake is going to blow your mind with flavor. After you make your first batch let me know what you think. 2. 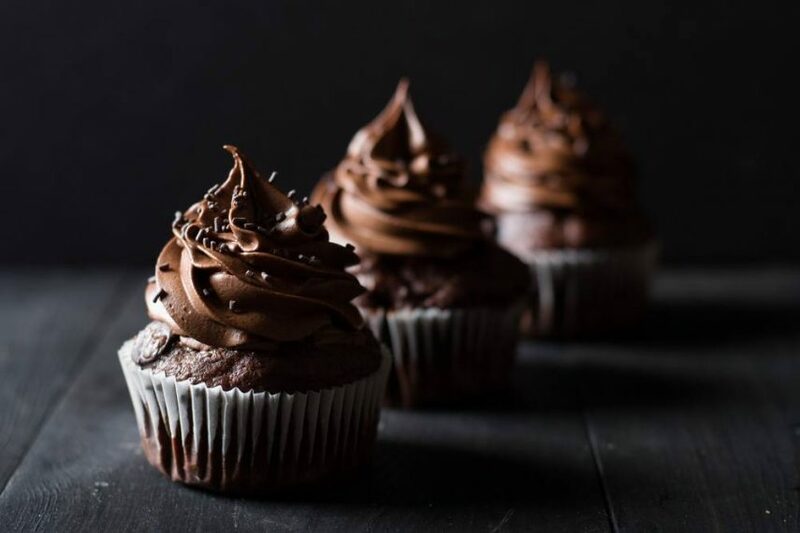 Grease a cupcake or mini-muffin pan with coconut oil to prevent sticking. 4. Blend all other ingredients in a blender. When the ingredients are mixed, add the 90% dark chocolate, and transfer the batter to the cupcake/muffin pan. 5. The batter will be sticky and thick. 6. Bake for 1o to 15 minutes. For details on how to get your hands on my Chocolate, ELITE Whey Protein send me a note on Facebook or IG. Previous Post Indulge Without The Bulge – You’re going to LOVE me for this one. Next Post How is Thrive Forever Fit® different from all the other weight loss programs?